Opening in Bali this March, the resort offers a complete wellness journey with spa, holistic treatments, and a personalized nutritional program. Wellness retreats are fast becoming the go-to for worn-out adults looking to destress from work and life in general. 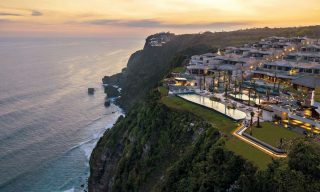 Those eyeing their next escapade can consider new luxury wellness resort REVĪVŌ, which looks set to open on March 30 in Bali this year. 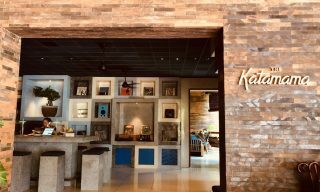 Offering more than just spa sessions at a far-flung tropical destination, this exciting new resort has in place a complete wellness journey with relaxation activities, spa and holistic medicine treatments, as well as a personalized nutritional program. 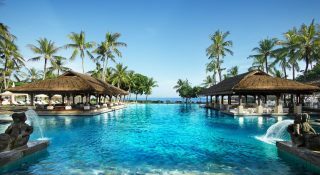 Occupying 30,000 square meters of lush land in Bali, the resort comes with 16 Balinese-style suites, including two four-bedroom villas that can be booked for more exclusive retreats, a restaurant, bar, and poolside lounge, spa, fitness area, and events space. With the help of experts, guests will be able to build a bespoke wellness program based on their needs. Ranging from three to 24 days long, these immersive programs tackles areas like emotional balance and mind training, detox and organic weight loss, anti-ageing and longevity, as well as special programs for mothers-to-be. While relaxation is key, fitness will also be a key component of the retreats at REVĪVŌ. Guests can satisfy their desire for an adrenaline rush through heart-pumping high-intensity workouts or ease their knots with restorative yoga practices, depending on their preferences. 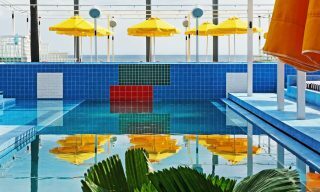 Fitness facilities here include a yoga barn, a martial arts hall, a reformer Pilates studio, a gym with TRX, boxing and kinesis equipment, a 25-meter-long lap pool for aqua workouts, as well as a 1,500-square-meter landscaped park for outdoor exercises. After a sweaty work out, head over to the holistic spa for therapeutic treatments like customized massages and body and facial sessions. 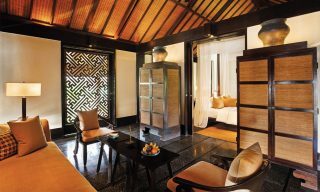 There are plenty of options, with the likes of authentic Balinese healing traditions, aroma, hydro, and chromo therapies. To complete your wellness experience, tuck into wholesome, organic, and balanced meals designed by the resort’s nutritionist chef. Guests will be glad to know that the dishes are made using the high-quality organic ingredients which are yielded from local farms.